Lactobacillus bulgaricus, LB-51 super strain travels along with food as it is being processed. Natren's Digesta-Lac supplies 2 billion colony forming units (cfu) of Lactobacillus bulgaricus, LB-51 super strain per serving. 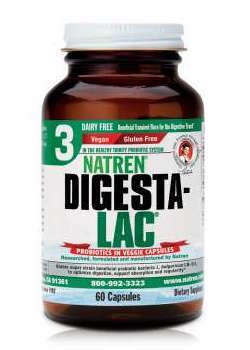 Digesta-Lac is also available as a dairy powder.